I do love a family saga, multi generational, war time story. Earlier this year I read Sheila Newberry’s The house at No. 5, it was the first time I read any book by her. Her story made me a fan of her writing and when she read my review and commented on it, I was super happy. Ever since I’ve been consciously looking for more books by Sheila and grabbed a couple off NetGalley. Needless to say I absolutely loved Haybales and Hollyhocks, and this one is simply heartwarming and inspiring. For fans of Katie Flynn and Sheila Jeffries, The Gingerbread Girl is a heart-warming, festive novel from the Queen of family saga, Sheila Newberry. 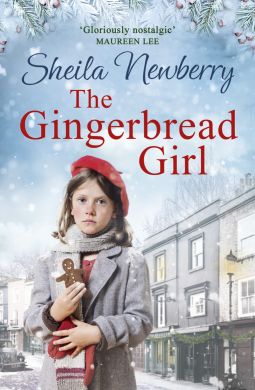 The Gingerbread Girl is the story of Cora Kelly; 15 years of Cora’s life from being desperately ill to finding her feet in the post war world and flourishing. The story starts with a 7 year old Cora, recovering in a hospital, away from her mother. Once out of the hospital instead of going home to her beloved mother, whom she is desperate to meet, Cora is met and whisked off to a new house by Eliza. Eliza is her mother’s close friend, co worker and someone who will have an important place in Cora’s future. Back from the hospital, Cora recovers at Eliza’s aunt’s farm. At the farm Cora gains her health back, makes friends with the family and even experience the first rays of young love. In the next 15 years Cora grows into a strong, hard working young lady who experiences the joys, love, friendships, heartbreaks, sorrows and hardships in the midst of ww2. Post war Cora goes through a personal transformation and soon we see her overcome odds, heartbreak and come into her own. 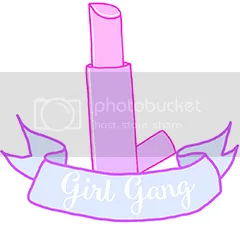 She is strong, happy and resilient. She takes whatever life throws her way and manages to come out stronger, she learns to smile, cry and experience life to the fullest. Like Cora, Eliza, her caretaker and later step mother, too is a strong character. She lives life as per her rules and gives life and happiness a chance, she doesn’t shy away from hardwork and doesn’t hesitate letting happiness in her life. Cora’s character is such a relatable, warm, full of strength and dignity that it was easy to root for her. I soon got invested and was wrapped up in her family life and war, surrounding the milestones of her life. At times I forgot I was in the 21st century and was happily taken back to the war time and the post war zealous, enthusiastic building of a society and personal lives. From a young child to a young working, happy woman of 22, Cora and her family manage to portray a well rounded family. A family that survives hardship, a war and still manages to find smiles, love and happiness in the relationships they form in their life times. A full of life story which will take you back to the early 20th century when war was at Europe’s doorstep and how people did their best. The eBook is at a great price – ₹69 only, currently, last checked at the time of publishing this review, so download it soon as you can.